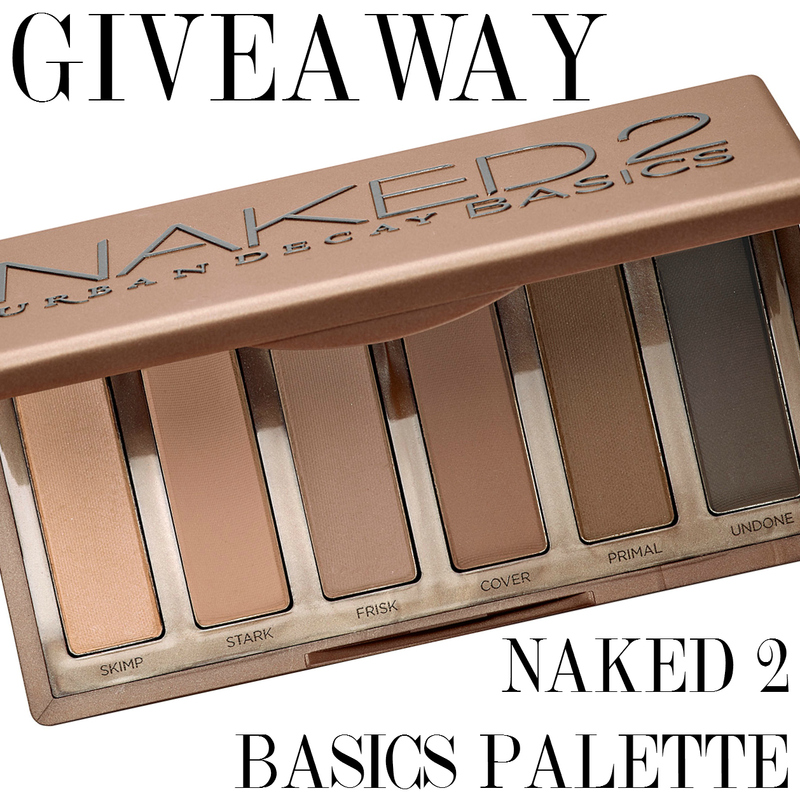 Joie de Jodie: GIVEAWAY: Naked 2 Basics Palette! Today marks 6 months since I started this blog! It has been such a whirlwind as I have been juggling it with my A levels, a part-time job, enough sleep and a social life, and I definitely couldn't have kept going if it hadn't been for the amazing support I have received from other bloggers and my followers. I thought it would be nice to do something where I give back to you guys, so have decided to do a giveaway of one of the items which sits at the top of my wishlist at the moment! I can't really justify buying it for myself as I already own the Naked 2 fill sized palette, but I'd love to treat one of you to owning the Naked 2 Basics Palette! Keep reading to find out how you can win! I've decided I'll go all out with postage costs internationally, since I have quite a few followers from all corners of the world and it would be unfair not to give you the opportunity to win since you have been supporting me just as much as people in the UK for the last 6 months. So, anyone can enter, whether you're a new or old follower, as I hope you will continue to read my blog for many years to come! All you have to do is use the widget below and complete the tasks, each one giving you more entries so you have more chance of winning this great prize! Love all your reviews especially about make up! I love to read makeup reviews!! I love looking at your gorgeous outfits! My favourite thing about your blog is the layout and how beautiful your pictures are. Love your reviews and would also like to see some makeup tutorials! I like reading Empties posts, so I'd like to see more of those. I'm not sure why -- perhaps there's just something particularly compelling about a bunch of empty bottles. i love the beauty blogs you do, but think you hit the mark with all the categories you do. You layout and reviews are great! I would love to see tutorials. My favorite about your blog are the reviews. Empties and bucket lists are my favourites :) The only thing I would like to see more of are bargain buys. My favourite thing is that your posts are varied and well written. Great giveaway prize! Been lusting over this palette for so long, it's such a beauty! Well done on your blog's success. I really like your detailed reviews and your clean layout! :) I'd like to see more tutorials if possible! i love your in photos posts! they are so cute!